This is a copy of a letter published in Free Times, July 2, 2014. Please cite as: Deflem, Mathieu. 2014. "USC Power Rankings Painfully Accurate." Letter. Free Times, July 2, 2014, p. 6. Regarding the Free Times’ latest top 50 power people in Columbia list, it is painful to have to note the accuracy in the rankings of the power players in our University of South Carolina. The good reasons to see President Pastides drop from No. 8 to No. 13 are evident from his own admitted failures, especially regarding his failure to secure adequate state funding. The tuition time-out has now, at least to some extent, been turned into a Pastides time-out. More alarming, I have to note as a faculty member, is the ranking at No. 29 of Mary Anne Fitzpatrick, the dean of the USC College of Arts and Sciences, who includes among her other titles not only that of educational foundation distinguished professor of psychology but also the specially invented position of associate vice president and vice provost for special academic initiatives. It must be unprecedented in the annals of our university — possibly among universities across the nation — that the dean of a college also occupies a university-wide position in the provost’s office. Such achievement of an interlocking directorate of one must be rewarded indeed, especially when accomplishments otherwise remain obscure. Less alarming, although very telling, is the tumbling down of Provost Amiridis from last year’s spot at No. 15 to currently not even be included in the top 50 at all. Adapting the words of former U.S. Senator (and fellow sociologist) Daniel Patrick Moynihan, the spectacular nature of this fall from grace is a matter of fact, not opinion. 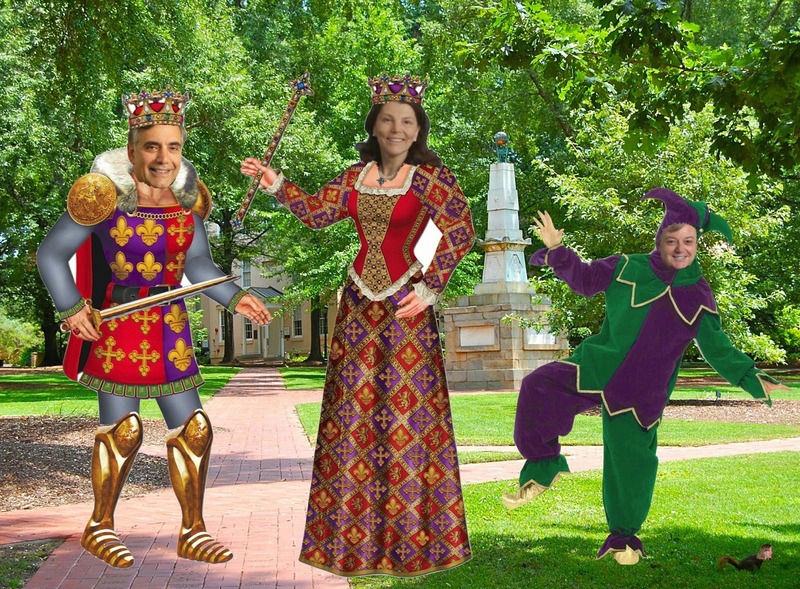 With the king, queen and jester of the university thus duly recognized, the question before us now is how much longer their subjects will remain loyal.